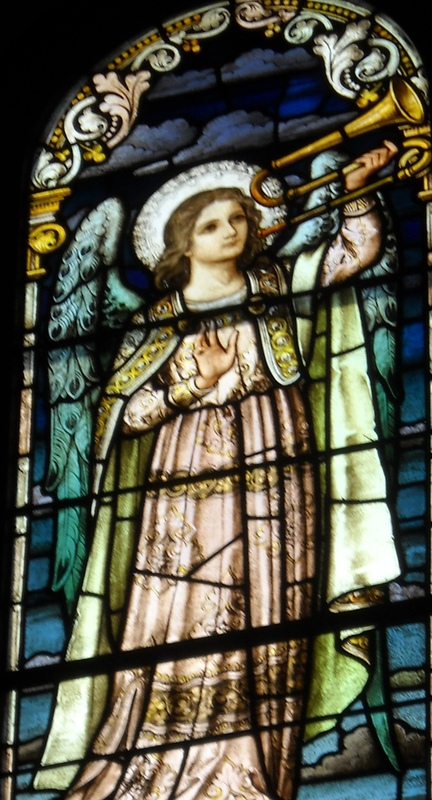 In the Gathering Space and stairway to Newman Hall: These windows were moved form the main body of the church when the Gathering Space was built. 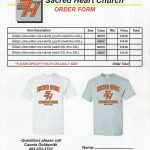 Sacred Heart Sesquicentennial shirts are available to help us celebrate and remember this joyous occasion. 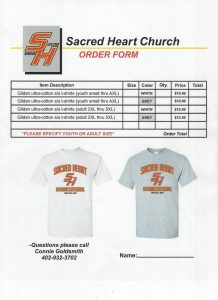 Please click on the image to view and print the order form, or contact Connie Goldsmith at 402-932-3702. Several men and women from Sacred Heart Parish have dedicated their lives to the service of the Church as priests, brothers, and sisters. The men that became diocesan priests are: Fr. Placed McGee, Fr. James d’Autremont, Fr. Thomas Keating, Fr. Carl Manternach, Fr. James Goedken, Fr. Andrew Lawrence, and Fr. Kyle Digmann. Br. Craig Digmann is a Glenmary Missionary. Annie Green from Monticello served as Sr. Aiden Green with the Sisters of Charity of the Blessed Virgin Mary (BVM) from 1872-1879. This congregation of sisters served Sacred Heart School from 1922-1926. In 1926, Constance Meyer joined the BVMs. The Sisters of the Order of St. Francis (OSF) staffed the school from 1926 until 1993. 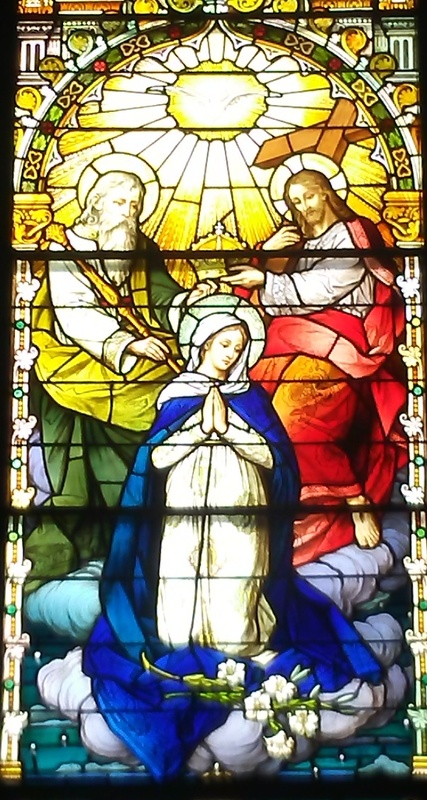 Grace Mary Smith joined this congregation as Sr. May Vianney; Elizabeth Fothergill joined as Sr. Mary Garnier; Phyllis Manternach joined as Sr. Anthony Mary; and Dorothy Schwendinger is Sr. Dorothy. Lillian d’Autremont and Audrey Welch also became religious sisters. Sr. Laura Goedken serves in the Order of Preachers (OP), the Dominican Order. Stephanie Hogan, serving as Sr. Maria Stefania of the Immaculate Coredemptrix, is a member of the Franciscan Family of the Immaculate Heart of Mary and St. Maximillian. After overseeing the building of our present church, Father Hauck promoted plans for a Catholic school. In the spring of 1922, construction began on a brick school on the corner of Maple and Third Streets, east of the church. Just a few months later, Sacred Heart School opened on September 4th welcoming grades 1-9. Four Sisters of Charity arrived from Mount Carmel in Dubuque to staff the new school. The rectory was moved from the school site to north of the school. It was then used as a convent for the arriving sisters. In 1923, 10th grade was added and in 1924, a full high school curriculum was offered. 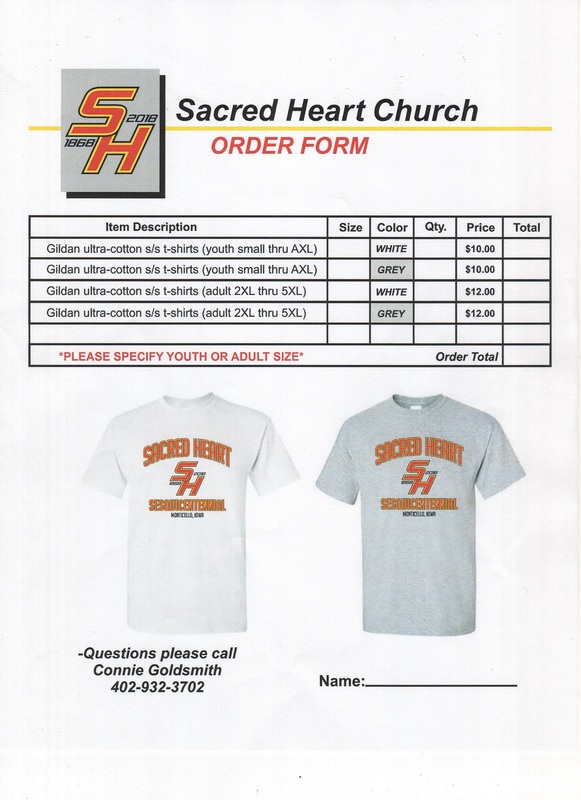 Janice Schneider and Marcus McAleer were the first graduates of Sacred Heart School. The Sisters of St. Francis came to teach at Sacred Heart in 1926. They served the parish and the school for 67 loyal years. Sister Madonna Friedman was the last of the Franciscans at the school, leaving in 1993. On August 30, 1959, a new Sacred Heart High School building located south of the church was dedicated by Archbishop Leo Binz. The final high school graduating class was that of 1969. The building now houses Sacred Heart elementary students, in PreKindergarten – 6th grade. 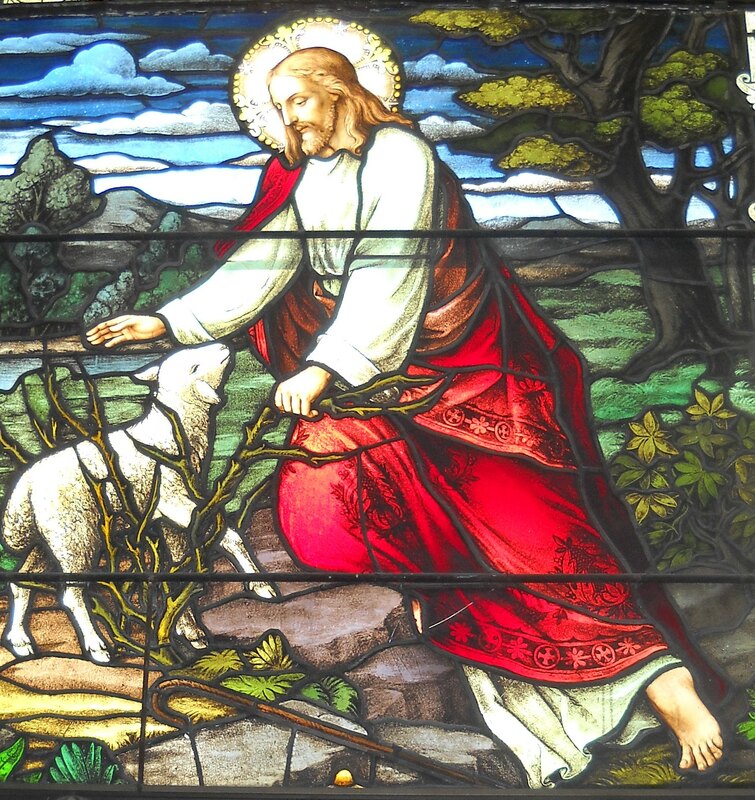 A beautiful feature of Sacred Heart Church is the series of magnificent stained glass windows crafted by Franz X. Zettler’s company of Munich, Germany; Royal Bavarian Art Institute. 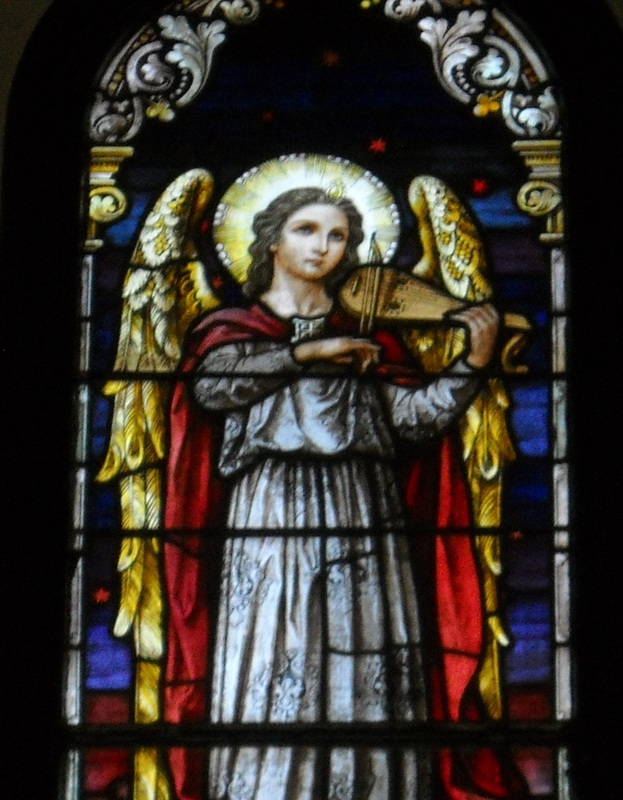 Zettler (1841-1916) worked for his father-in-law’s company, Institute for Christian Art Works, before starting his own stained glass company in 1870. 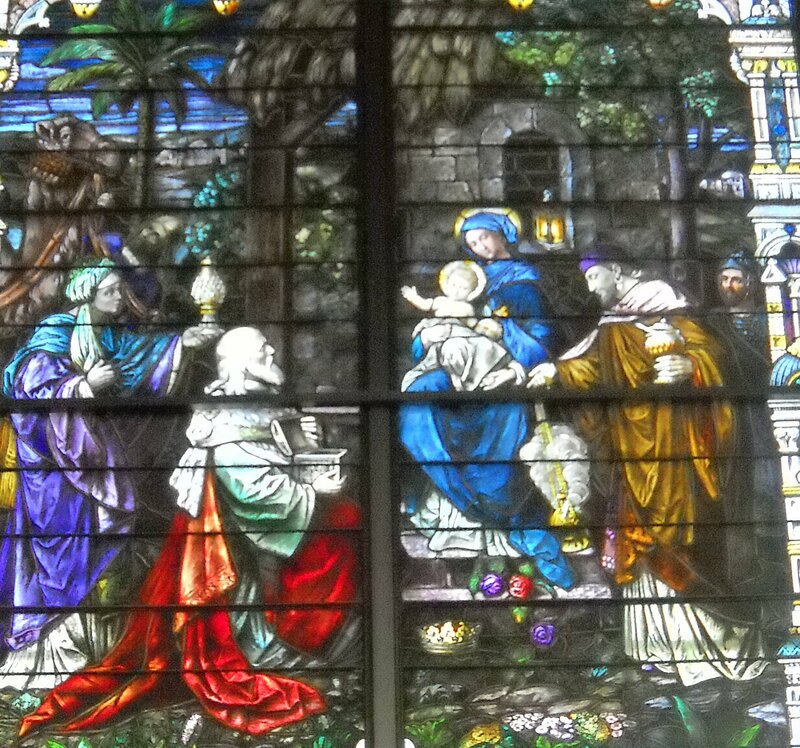 At the World’s Columbian Exposition in Chicago in 1893, Zettler won top prize for his stained glass. In 1939, the two companies merged. 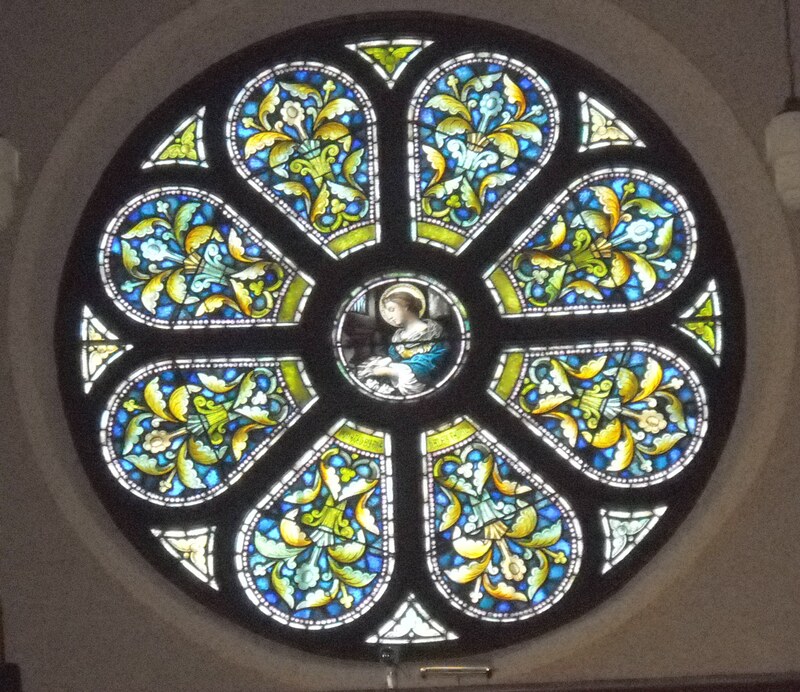 Zettler was known for painting perspective into his windows. 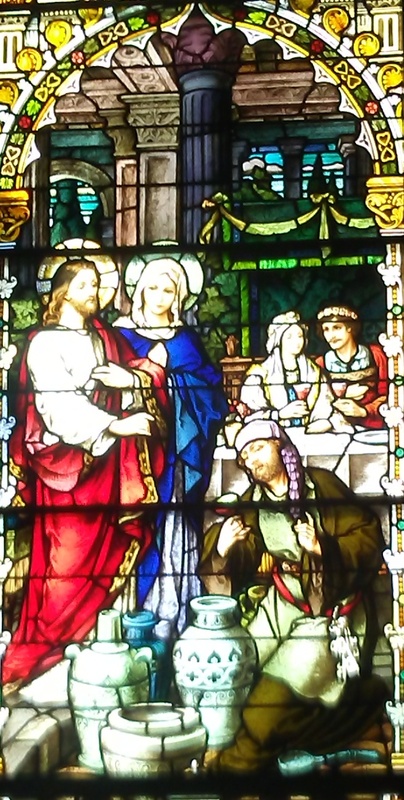 This can be seen particularly in our church’s window depicting the Epiphany. 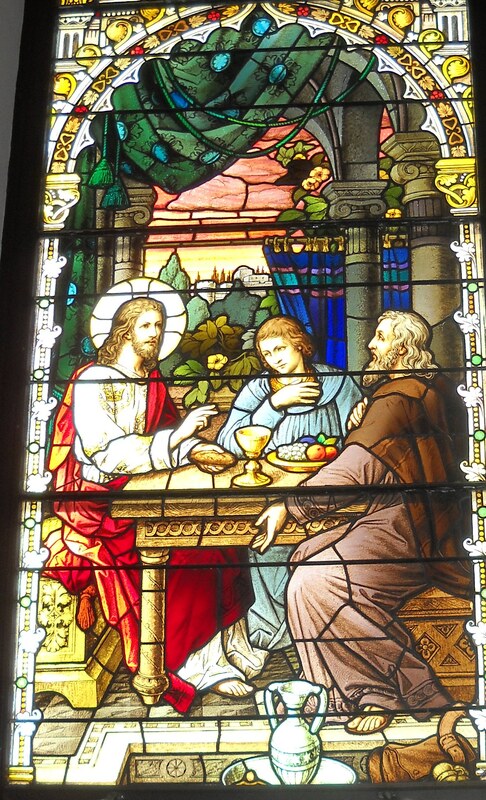 The Sacred Heart Church stained glass windows were not installed immediately when the church was built in 1914. It is believed that after being shipped from Germany, the windows sat on the dock in New York for many months due to delays during World War I. Individual and organization donor names are written at the bottom of the windows. Also, look for F.X. Zettler’s name. 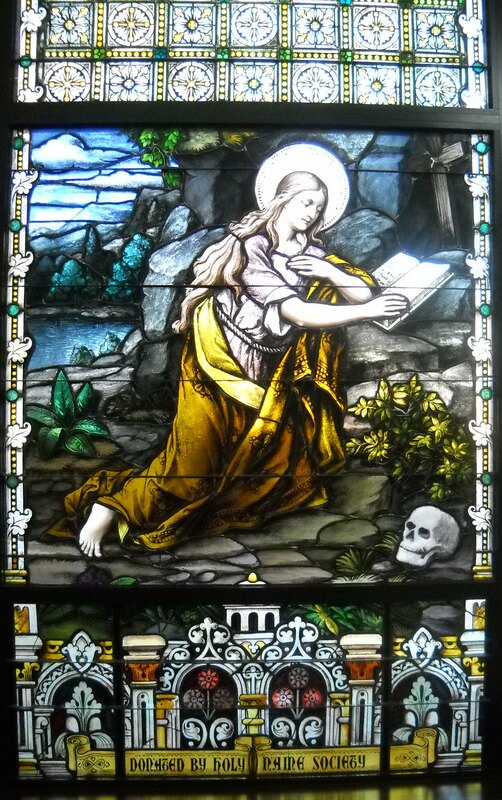 In medieval times, when many people could not read, the scenes depicted in stained glass windows told the important stories of their faith. 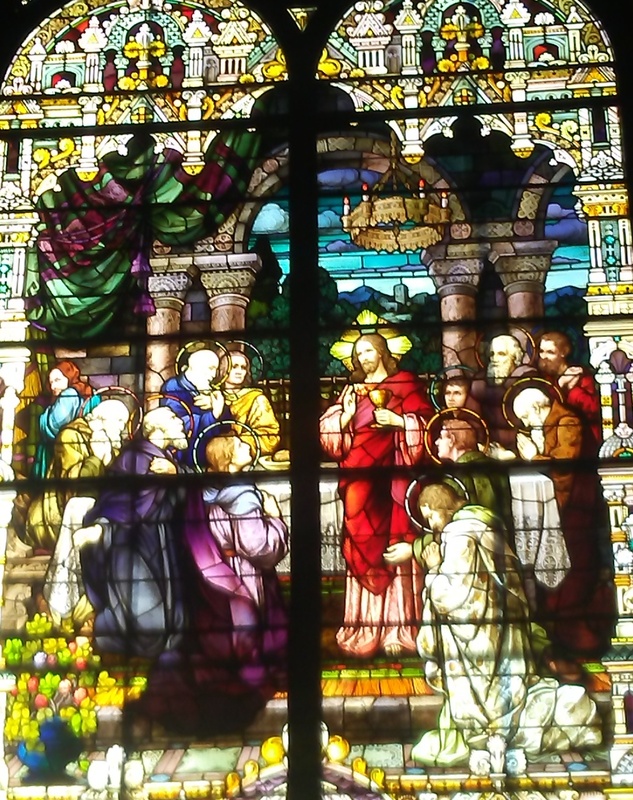 How fortunate we are today to look upon such beautiful artistry from 100 years ago and ponder the tenets of our faith. Sacred Heart Parish had moved from meeting in a home and hall prior to the Civil War, to a wooden church in 1868, to a vacant school building following the tornado, to a rock church in 1880. Father George Hauck came to Monticello in 1913. Having overseen the building of the Sacred Heart Church at Fillmore, he was to take charge of procuring a new church in Monticello. The rock church on 7th Street was structurally fine, but its location was a source of concern. A more centrally located site was found on the northeast corner of Sycamore and Cedar Streets, our present location. 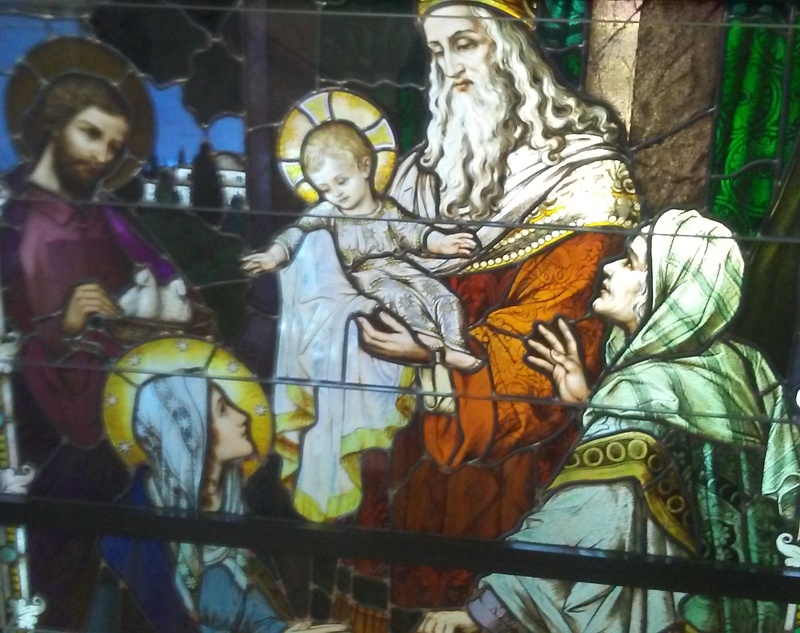 …in years to come, future generations will have to look back and admire the strong faith and the deep love of God of the people who built the new Sacred Heart Church in 1914. 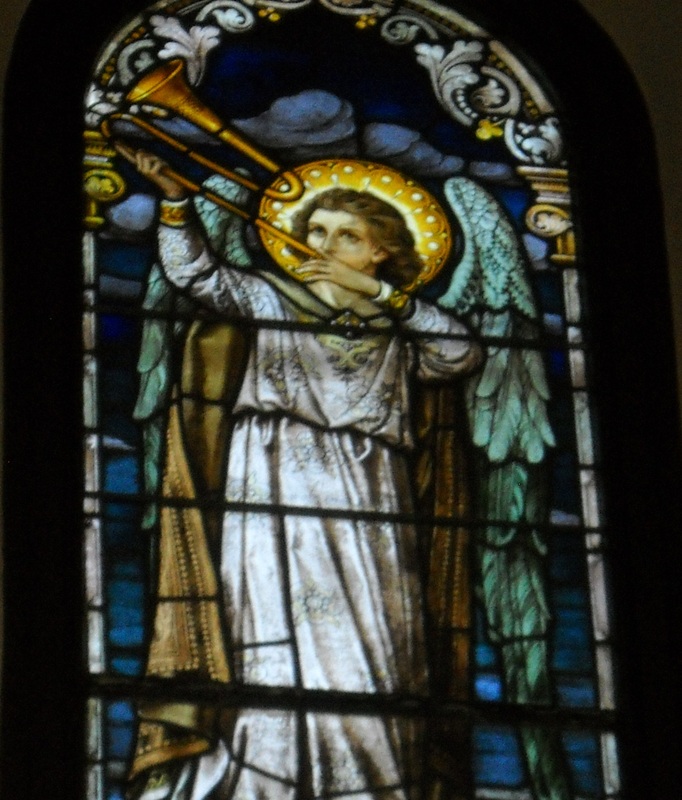 After the first Sacred Heart Church was destroyed by a tornado in 1878, it was decided to move to a new location. It was believed that the Angle Street site was in a storm path. Sacred Heart’s pastor, Father O’Connor, selected the new site in the northwest part of Monticello, presently West 7th Street. Mr. Cashen sold the church five acres of land for $100 per acre, which was considered quite a price for land at the time. Dubuque architect Keenan drew plans for a 30×80 foot church. Frank Fry and John Bignelli used rock from the quarry easy of town for its construction. The church cost $7,000. Additional furnishings and pastor’s residence brought the total cost to $12,000. Sacred Heart Church moved to its present location in 1914. The rock church and parsonage were purchased by Claude Fothergill in 1929. Fothergill built a home using the stone from the church. The home’s wooden floors were made from the church’s wooden floor. And the rock cornerstone reads 1880.